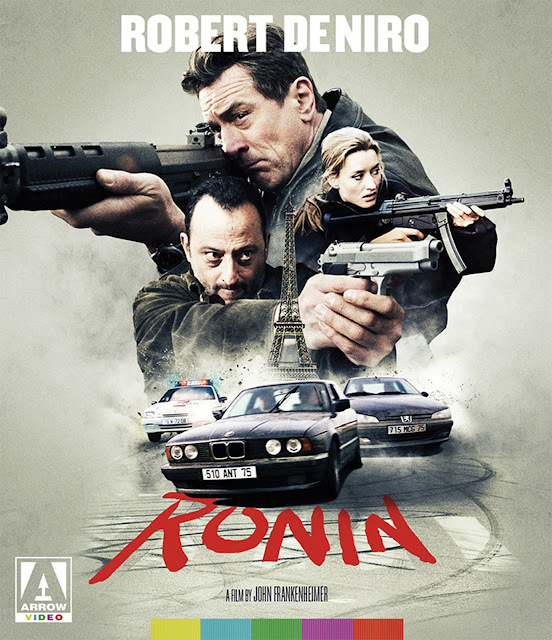 From director John Frankenheimer (SEVEN DAYS IN MAY, THE MANCHURIAN CANDIDATE) comes RONIN, a pulse-pounding, action-packed crime thriller featuring an all-star cast headlined by Robert De Niro (TAXI DRIVER, HEAT) and Jean Reno (LEON: THE PROFESSIONAL). On a rain-swept night in Paris, an international crack team of professional thieves assembles, summoned by a shady crime syndicate fronted by the enigmatic Deirdre (Natascha McElhone, The Devil's Own). Their mission: to steal a heavily guarded briefcase from armed mobsters, its contents undisclosed. But what begins as a routine heist soon spirals into chaos, with the group beset by a series of double-crosses and constantly shifting allegiances, and it falls to world-weary former CIA strategist Sam (De Niro) and laconic Frenchman Vincent (Reno) to hold the mission together.